Mercedes-Benz Vans has recorded a significant increase in sales in the first half of 2017. 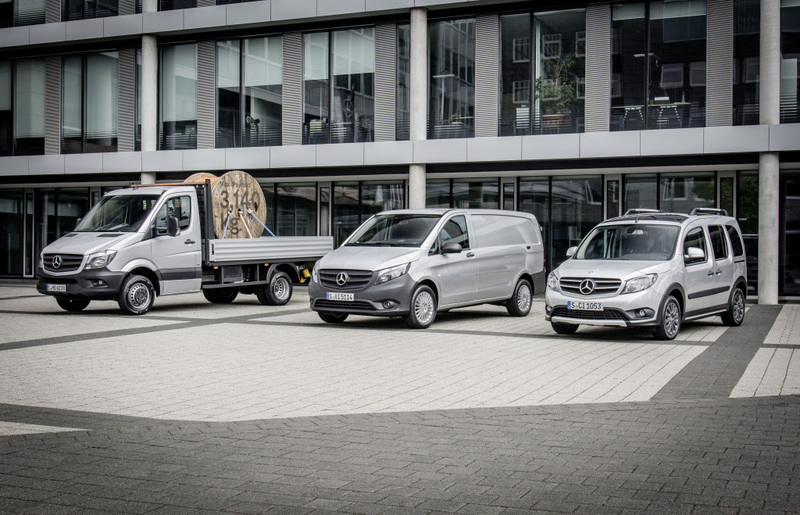 With deliveries of 190,200 vehicles in all, the Vans division of Daimler surpassed the previous record set last year by eight percent (previous year 176,200). This means the business unit has now been growing for five years in a row. All model series contributed to the latest sales record and set new highs: Sales of the large Sprinter van increased to about 96,200 units (previous year 95,100, +1%), the mid-size Vito van gained 14 percent to come to 52,500 units (previous year 46,000), the V-Class multi-purpose vehicle (MPV) recorded an increase in sales by 24 percent to about 29,000 units (previous year 23,300), and sales of the small Citan van improved by five percent to 12,500 units (previous year 11,900). Mercedes-Benz Vans also projects a significant increase in sales for 2017 as a whole. As part of the “Mercedes-Benz Vans goes global“ business unit strategy, the division last year launched the V-Class and the Vito also in China, the world’s largest automotive market. This provides additional boosts in demand. In addition, as the world’s first premium manufacturer, Mercedes-Benz Vans will enter the segment of mid-size pickups with the X-Class at year’s end.